Keep up-to-date with your team's news, results & scores with Fox Sports' NRL App. Never miss a moment with Fox Sport's dedicated NRL App. Keep up-to-date with all latest NRL news and follow matches live with the all new NRL live scores and results for all games of the NRL season. See where your team is in the standings on the NRL ladder and the NRL draw for the upcoming Rugby League season. Don't miss any of the action and follow your favourite Rugby League teams on the Fox Sports' NRL App now, including in-the-moment notifications and all the latest Fox League news & scores for: Melbourne Storm, Brisbane Broncos, Sydney Roosters, Parramatta Eels, Cronulla Shark, Manly Sea Eagles, Penrith Panthers, North Queensland Cowboys, St. George Illawarra Dragons, Canberra Raiders, Canterbury Bulldogs, South Sydney Rabbitohs, New Zealand Warriors, Wests Tigers, Gold Coast Titans, Newcastle Knights. - We made scrolling through our News feed as smooth as Corey Norman’s field goals. - And we hate bugs like we hate forward passes, so we’ve fixed them and made some performance improvements along the way. Although this app has some really good content, it has a very frustrating UI. I don’t get how to play videos in landscape mode - what’s the go with that? I have this gorgeous plus-sized phone but I have to watch the videos in portrait mode? Screw that. Also, it has this really fiddly way of getting out of a story, sometimes you get back to the card view, sometimes you pull down notification centre instead. Lastly, it will sometimes play random videos when you’re in the app, even when you’re on a completely different page. To sum up, lucky it’s got decent content or it would be a 1 Star app. Thanks for your awesome feedback! So awesome, in fact, that we've now started developing a landscape mode solution. Keep an eye out in our upcoming releases. While you can still return to the main stories via a swipe down without having to close the app, our team has been busy simplifying this journey and we expect these updates to be rolled out soon. Regarding the random videos issue, would you mind providing more detail? We do have autoplay functionality in the News section, which enables you to watch videos as you scroll through, but the videos should stop when you continue your journey. If this is not the case for you let us know and we'll investigate further. Well I’m writing my complaints here as if you write to app support they don’t ever respond. Noting but problems with trying to stream games with such problems audio suddenly cutting out for several seconds, audio changing to a different program in the middle of the game and even suddenly the visual changing to a pre game show with audio staying with the game. Hopefully everyone seeing this will make them actually respond to the problems instead of just ignoring people’s complaints when you message them directly. We don't have a Fox League Apple TV app on our roadmap, but we do have a Fox Sports Apple TV app that's already available. To make Fox League videos full screen on your phone, tap the diagonal arrows on the top left of the video screen and turn your phone sideways. 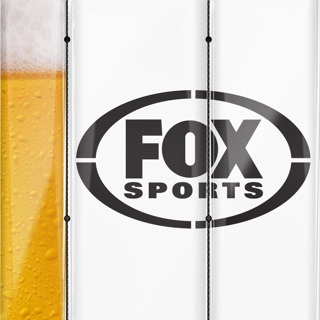 If you're still having issues reach out to us at app.support@foxsports.com.au and we can look into it further for you. Love this app as it is easy to navigate & has all the information I need. I really like how it shows me relevant videos, & that I can access game day info & with the click of a button can read news or find out more info in the stats section. The story card feature is also really useful! Thanks for your support, Belle Q! You're not alone in your feedback around that particular stories feature. It's one of the most popular in the app. And we're not done making it better! Stay tuned.